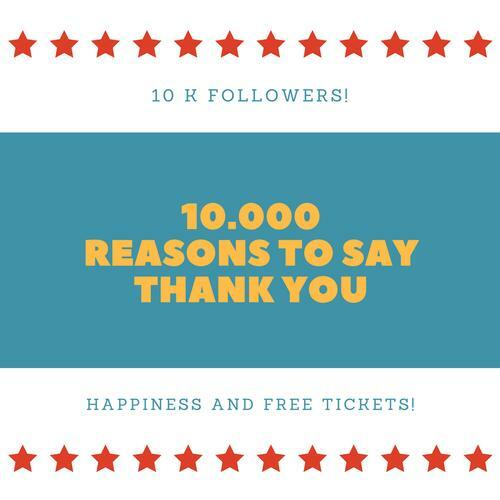 I cannot but thank you with all my heart for being there and for all your support and your inspiration that have made LTR the number one Instagram theatre blog of London. We are a big community of theatre lovers and this is the place where everybody is welcome. A place to talk about theatre – and anything related - and share opinions. A place you can trust. We love our IG community so much, and to thank you we are giving a couple of tickets for the amazing BAT OUT OF HELL! Go to our IG, FB or Twitter page and follow the instructions. Keep following us, because we are preparing so many surprises. And, THANK YOU! 1) This entitles the prize winner to two tickets to Bat Out of Hell the Musical at the Dominion Theatre. 2) Prize to be redeemed by Thursday 27th September 2018. 4) Tickets are subject to availability. 6) Travel to and from the theatre and any additional expenses incurred are not included within this prize.